Ladies and Gentlemen: Fall and winter season is the time to get Laser Hair Removal! Laser hair removal has some drawbacks in the summer: You must avoid sun exposure, tanning beds, and sunless tanners. Why? The Laser Hair Removal process involves targeting the pigment of the hair follicle. If your skin is tanned it confuses the laser because it cannot differentiate between the color of the hair and the color of your skin. 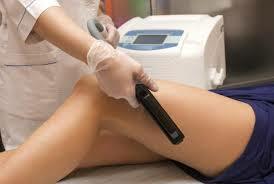 So it is best to do Laser Hair Removal when your skin is at its lightest form. Stubble No More! Stop with the shaving, waxing or creams! Come into Lasting Looks Clinic in Toronto for a free consultation with our skin specialist and be hair free by next summer!